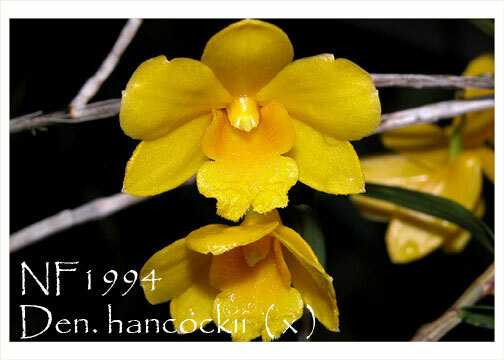 A native of Yunnan Province in southwest China, this adorable species can be found growing on tree trunks or on rocks in elevations of 200 to 1500 meters. 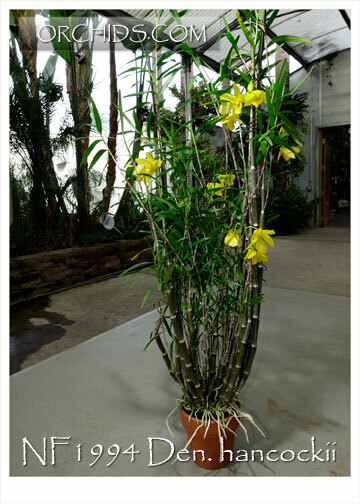 These seedlings are the result of a sibbing of the dwarf-growing variety, looking just like a miniature bamboo tree. 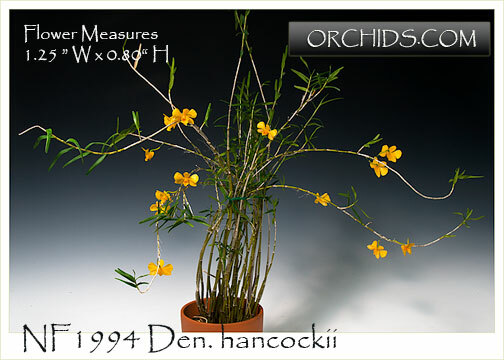 Their waxy butter yellow flowers have a delightful honey fragrance and the plant, resembling a miniature bamboo, is charming, even when not in flower. They can re-bloom from older canes, usually in the spring, and make a decorative patio plant to grow year ‘round in frost-free climates. During their active growing season, provide generous water and fertilizer, then allow to dry slightly during the winter to prepare for late winter to spring flowering. Photo Credit: Mr. Eric Hunt. 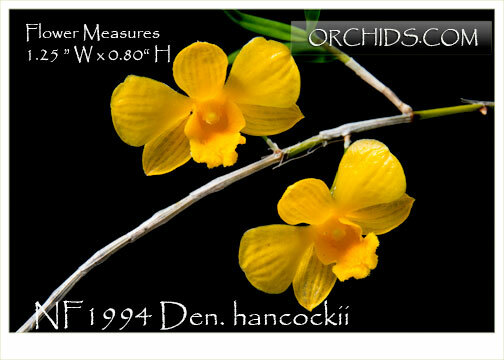 Note :Amazing Honey Fragrance !